Nokia is rolling out a new software update with the November 2018 security patch for its Noia 3 and Nokia 6.1 Plus smartphones. Unfortunately, other devices like the Nokia 7.1, Nokia 3.1 Plus, and Nokia 6.1 are still yet to receive the update. Nokia has been working tremendously hard to roll out timely software updates for its smartphones. In the past few weeks, the company has been rolling out software updates for a number of its devices. Most of these software updates have been minimal in nature but extremely crucial since they bring with them the latest security patch. As of today, the Nokia 3 has joined the list of phones receiving a security patch update. A new update with the November 2018 security patch has started rolling out for the Nokia 3 smartphone. Unfortunately, the update doesn’t upgrade the system software of the device as it continues to run on Android 8.0 Oreo. The update is available via OTA and is packed into a file size of 82.75MB. The Nokia 6.1 Plus is lucky enough to also receive an update. However, the update is unusually big and packed into a file size of 1381MB. Don’t let the large file size fool you into thinking that the company is rolling out an OS upgrade with brand new and cool features. The reason for the large file size is that Nokia decided to roll out the update as an entire package rather than the usual incremental update. This update brings to the Nokia 6.1 plus the November 2018 security patch. Other smartphones which have recently been updated with the latest security patch include the Nokia 8 and the Nokia 8 Sirocco. Fortunately, updating to the latest software doesn’t require much technical know how. The process is fairly simple and actually quite straightforward. Since the updates are available as an OTA, all one has to do is navigate to the settings option and check under the ‘About Phone’ options. Here’s where a software update option will be available. If the update has rolled out for your device, you will be prompted with a download option. Once initiating the download, the download and installation procedure are automatic and require absolutely no intervention by the user. During this process, it’s pretty normal for the phone to reboot several times. Once done, the phone will boot up as usual. 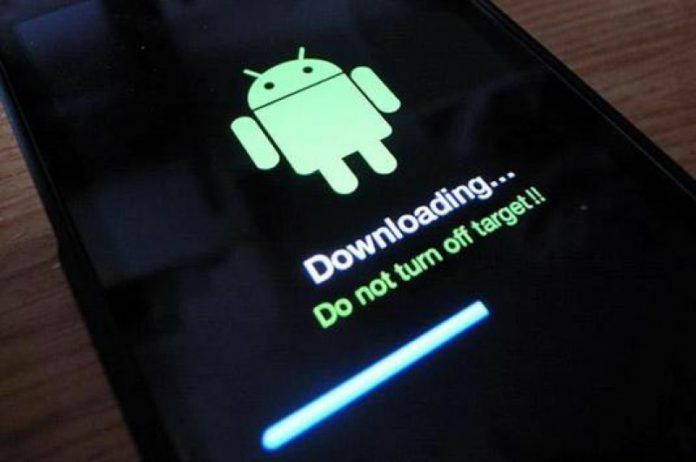 Before proceeding with the software update, ensure that your smartphone is connected through WiFi and has enough battery charge. While the software update has rolled out for the Nokia 3, Nokia 6.1 Plus, Nokia 8, and Nokia 8 Sirocco, there are still a few Nokia smartphones which are still awaiting the November 2018 security patch. These devices include the Nokia 7.1, Nokia 3.1 Plus, and also the Nokia 6.1. One possible reason why the Nokia 7.1 and Nokia 3.1 still haven’t received the update is owing to the fact that they have just recently launched and will probably receive the update in a few days. It would have made more sense to roll out the update for the Nokia 6.1 alongside the update for the Nokia 6.1 Plus. However, the fact that the Nokia 6.1 Plus has received the update is a little consolation for 6.1 owners as they known that a software update for their device is just around the corner. Well, once Nokia launches smartphones with Android Pie or later versions of Android, updates will roll out a lot faster. This is all thanks to Project Treble and Google’s continuous support. Recently Google went public with its decision of making all smartphones which launch with Android Pie ore later version Treble supported devices. This could be the glimmer of hope which all smartphone users have been waiting for! You forgot to write Nokia 5.1 plus which also didn’t receive the update.